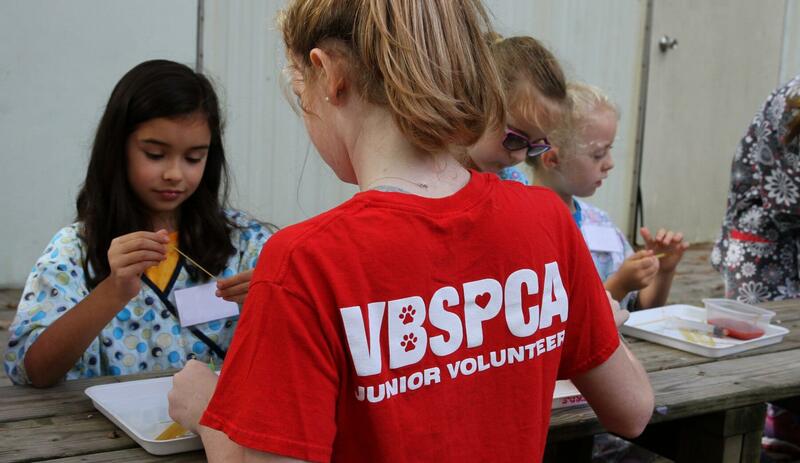 Our Junior Volunteers (JVs) assist VBSPCA staff in the day-to-day operations of the shelter. Cleaning and other support activities are a major part of the junior volunteers’ duties. Please note that NEW Junior Volunteers handle animals infrequently. With time and experience, JVs are given more responsibility to help with direct animal care. There is very little “playtime” at any point of the program. Motivated self-starters make the most successful JVs. Interested teens should fill out an application, and obtain a letter of recommendation from a reference. Applications without a letter of recommendation will not be considered. It is your responsibility to ensure your reference sends us a letter of recommendation. It is VERY IMPORTANT that you review the New Junior Volunteer Application Rubric to help make sure your application is complete and up to standards. We have a limited of spots available each session, so make sure to be thorough on your application and refer to the rubric. Our quarterly orientations are by invitation only. After you apply, if accepted, you will be sent a invitation to the parent/JV orientation along with instructions for signing up for orientation. If your application is not accepted, you will receive an email notification. Please note this does not affect your ability to reapply. For more information, please contact Sarah Parrish at Sarah.Parrish@vbspca.com. **If you are looking for community service hours to fulfill a school requirement please refer to the information on the School Community Service page.